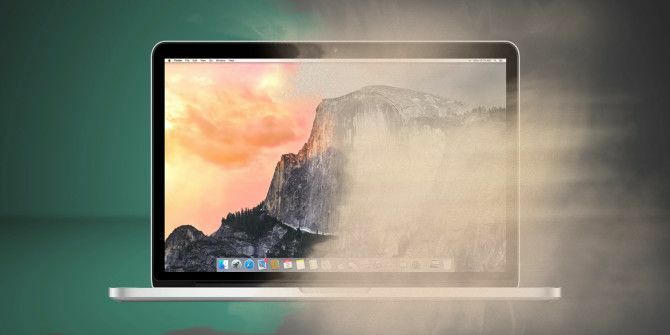 Dust buildup can be a serious problem for all kinds of electronic equipment How Heat Affects Your Computer, And Should You Be Worried? How Heat Affects Your Computer, And Should You Be Worried? From time to time, we all get concerned about our computer's temperature. But should we be worried? Read More . Not only that, but if you leave the dust lingering too long, it can turn into gunk — and gunk is harder to clean and can cause more problems. You’ve seen the kind of crud that can build up on your keyboard and mouse, right? Imagine that happening inside of your computer. If possible, you should exercise good maintenance skills to keep it from ever getting that bad. Cleaning dust out of a Mac isn’t as easy as cleaning dust out of a PC, A Spring Cleaning Checklist For Your PC Part 1: Hardware Cleaning A Spring Cleaning Checklist For Your PC Part 1: Hardware Cleaning With the arrival of Spring in the Northern Hemisphere, houses across the globe get a nice cleaning to rid them of dirt and clutter that has accumulated over the past year. Dust and junk also... Read More but it’s not impossible. Here’s what you need to know. Before you rush to open up your Apple device and void whatever warranties you might have, know that you probably don’t have a buildup problem unless you live in an environment with a lot of dander, pet hair, smoke, carpets that are rarely vacuumed, and so on. But if you’re still worried whether your system is in danger or not, here are the three main symptoms of a dust problem that’s gotten so bad as to require immediate attention. As dust accumulates on various internal components, it begins to affect air circulation. If air can’t circulate, heat can’t escape. If heat can’t escape, the internal equilibrium temperature will keep rising and eventually overheat. At its worst, overheating can cause permanent damage to CPUs, GPUs, hard drives, and more. However, modern systems are good at detecting overheating and shutting down your hardware before things get out of control. If you experience unexpected shutdowns or restarts, it may point to overheating MacBook Air Overheating? 5 Things You Can Do MacBook Air Overheating? 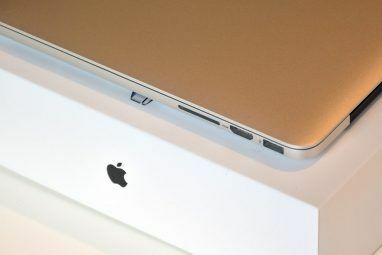 5 Things You Can Do You might think your MacBook is overheating if it sounds like a hairdryer and feels like a grill. Here are some things to try when you can no longer stand the heat. Read More . Another feature in modern computer parts, especially CPUs, is the ability to throttle performance when things get too hot. Throttling prevents the CPU from working too hard, which in turn generates less heat. Few things are as frustrating as a throttled CPU as it will slow down everything on your system. If you feel like apps are taking too long to load or if your overall system feels slow or choppy, it may point to overheating. As you Mac gets older, you may notice your fans getting louder and louder. You may also notice that they spin at top speed all the time. This could be due to a messed up system setting, but it’s likely being caused by overheating. It makes sense, right? The fans are programmed to spin faster when the temperature gets hotter, so if they’re constantly spinning at top speed, excess heat could be the issue. Cleaning out dust could be an easy way to reduce fan noise 5 Things You Can Do to Silence a Noisy Laptop Fan 5 Things You Can Do to Silence a Noisy Laptop Fan Over time, laptop fans get covered in dirt and dust. We show you how to improve the performance and reduce fan noise of your system. Read More . Note that these are just indicators! High temperatures can be caused by other problems, so make sure you go through the proper troubleshooting steps and channels Fix Your Own Mac: A Troubleshooting Guide Fix Your Own Mac: A Troubleshooting Guide Apple is known for having great customer service and repair technicians, but if you're no longer under warranty that expertise doesn't come cheap. Why not try troubleshooting your own Mac first next time? Read More for diagnosis. Macbooks are more prone to dust buildup than iMacs. If you determine that dust truly is the problem, then keep reading to find out how to clean it out. Unlike iMacs, MacBooks always need to rest flush against a surface during use. As such, their vents are always sitting close to potential sources of dust. The problem is even worse for users who use their laptops on beds, blankets, carpeted floors, blankets, and other soft surfaces. We recommend regular cleaning, at least once every six months for a low-dust environment. More often for high-dust environments. Before diving into the actual cleaning of internals, it should be noted that a basic maintenance routine can really help minimize how often you need to open up your Macbook. Keep these tips in mind! Always use a hard surface. I know it can be very tempting to use your laptop in bed or on the ground — I do it from time to time against my better judgment — but you’re just exposing it to more dust that way. Use a laptop tray at least How To Make Your Own DIY Vented Laptop Tray How To Make Your Own DIY Vented Laptop Tray Read More ! Hard surfaces are better for air circulation, too. Keep your house and surfaces free of dust. This one’s obvious but it’s amazing how many people neglect it. More dust in house, the more dust is sucked into the vents. Also, don’t use your MacBook in high-dust environments if you can help it. Blast fan speed for 15-30 seconds. Using a program like Macs Fan Control, you can manually set your fan speeds. Some users recommend running them at max speed every once in a while to dislodge dust particles before they get caked in. For a full cleaning, you’ll want to open up your Macbook so you have access to all the nooks and crannies where dust can collect. Note that opening a MacBook can be risky, so do so at your own risk. We take no responsibility if something goes wrong. Always turn your MacBook off before opening it up, and keep in mind that you will void your warranty — including AppleCare. Pick your Macbook model from this list of iFixit repair categories to get model-specific instructions on how to open up the case. Specifically, look for instructions on opening the Lower Case. Use compressed air to blast away bits of dust from every open crevice you can find. This is going to be messy so take the laptop outside if you can. Never use a vacuum cleaner for this task. Reassemble the device and you should be good to go. Warning: There is no easy way to access the internals of a 2009 iMac or later, which means you’ll need to disassemble the whole thing. Not only can this cause damage, but you’ll void any warranties you have. Do so at your own risk! Fortunately, iMacs don’t collect as much dust as Macbooks do, so you don’t have to worry as much. In fact, a lot of iMac users have never once cleaned out dust from their machines yet everything still works fine. Your mileage may vary. If you stick to a basic maintenance routine, you can effectively prevent a lot of the dust from getting inside your machine in the first place. It’s the same principle for keeping your life decluttered Clearing Out Clutter Is Good For You — But Why? Clearing Out Clutter Is Good For You — But Why? Decluttering is a great way to start the year feeling fresh, and it gives you a big sense of accomplishment — but there's more to it than that. This simple habit can improve your life. Read More : a little cleaning every day means no big catastrophe later on. Wipe the circulation vents. You’ll find vents along the bottom edge of the iMac as well as a bigger vent in the back where the stand meets the iMac. Never use a vacuum because it can generate static electricity and fry your electronics Your Sneakers Can Kill Your Computer: How Static Electricity Works [MakeUseOf Explains] Your Sneakers Can Kill Your Computer: How Static Electricity Works [MakeUseOf Explains] Static electricity is the number one computer hardware killer, and its everywhere! Panic aside, if you do any work with computer components - even as simple as upgrading your memory - you need to know... Read More . If you have carpets or rugs, vacuum them regularly. They tend to collect and produce a lot of small particles that can get kicked up into the air and settle elsewhere, like on your desk. Wipe down your desk once a month. That dust may look like it has settled, but all it takes is a sneeze or a breeze or even a fist pounding down to dislodge some of it, which can sucked into the iMac. Once again, we want to remind you that opening up your iMac is a risky procedure that could cause a lot of damage if done improperly. If you want to go ahead with it, we take no responsibility if something does go wrong. Always turn your iMac off before opening it up! Pick your iMac model from this list of iFixit repair categories to get model-specific teardown instructions. Make sure you follow the instructions with diligence! Even small mistakes can be costly here. Use compressed air to blast the dust out of your iMac once you’ve disassembled it. Again, don’t use a vacuum because the static electricity can fry the electronic components. Compressed air only. If you know for sure that the internals need a good cleaning of dust but you aren’t comfortable doing it yourself, take it to a local service provider for Apple products. The Apple Store may even clean it out free of charge. But even if it does cost something, the price may be well worth it. Not only do you clear yourself the risk of damaging your machine, but a simple cleaning could end up extending the lifespan of your machine significantly. 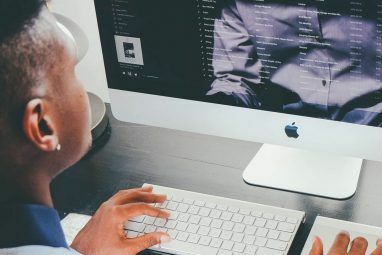 If you’re really worried about taking the best care of your Mac device, then make sure you invest in all the benefits of AppleCare AppleCare Warranty: What Are Your Options and Is It Worth It? AppleCare Warranty: What Are Your Options and Is It Worth It? AppleCare+ protects your Apple device, but is it worth the cost? Here's what AppleCare+ offers and whether you should get it. Read More , including free service, assistance, and fixes for certain types of defects and issues. For the clumsy, we recommend reading up on what to do when you spill liquids on your laptop You Just Spilled Water Or Coffee On Your Laptop - Here's What You Should Do You Just Spilled Water Or Coffee On Your Laptop - Here's What You Should Do Okay, let's take a deep breath and deal with the emergency first. Any emergency requires us to take a moment or two and assess the situation. That way we aren't just reacting, we are acting... Read More . Fast action is required to prevent long-term damage, so take it all in and make sure it’s second nature to you! Lastly, despite the reputation that Mac devices have for long-lasting quality, sometimes you have to bite the bullet and concede to replace that old dying Mac 4 Signs It's Time To Replace Your Mac 4 Signs It's Time To Replace Your Mac It's generally pretty obvious when it's time to replace your computer, but just in case you're unsure here four signs that it might be time for a trip to the Apple Store. Read More . Until then, get the most out of your machine by taking advantage of these amazing tips for Mac users The Best Built-In Mac Tips You've Never Heard of, According to Reddit The Best Built-In Mac Tips You've Never Heard of, According to Reddit There's a surprising number of things your Mac can do out of the box, if you only know how. Read More . When was the last time you cleaned dust from your Macbook or iMac? Let us know down in the comments! Explore more about: Hardware Tips, MacBook, MacBook Air.